How Does Your Sacramento Process Server Answer These Questions? No matter what kind of service business you’re wanting to retain, it’s always a helpful strategy to have a set of questions ready you’d like to have addressed before working together. Your particular Sacramento process server needs will determine the questions you should ask, but for the most part, there are a few typical questions that will help you distinguish the wheat from the chafe. 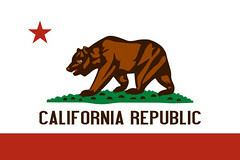 What kind of registration do process servers in California need? What happens if your court filing is rejected? How much does it cost to send your work by email? How can you save $25 on any Sacramento process service? When you perform a search for “Sacramento process server”, you’re going to get a ton of results. After reading through a few of their Sacramento process server reviews and taking a look at a couple of their websites, grab the telephone, give them a call and ask some questions. If you need a Sacramento process server to serve divorce papers, eviction notices, small claims paperwork, court filings, skip tracing, CT Corporation services or handle your attorney services, give JPL Process Service a call at (866) 754-0520. Your call will be answered in just a couple of rings. Your concerns will be answered openly and honestly. And if you make a decision to work with us, we’ll take care of your service of process promptly, affordably and according to California process server laws. Our Sacramento process service specialist is ready to take your call at (866) 754-0520. If you prefer the computer, you can email us at info[@]JPLPS.com or ask us a question on the California Process Servers page on Facebook. Any way you choose, we’re here to help.